Deacon Willie H. Jones “The Green Man”, 91, went home to be with his Lord and Savior on August 24, 2018. 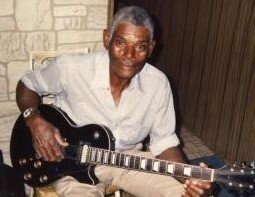 He was born on August 25, 1926 in Dothan, Alabama to the late John Hill and Daisy Griggs. Mr. Jones met and married Louise Brister, in Orange Park, FL where he was a long time resident. During their union they had eight children. Mr. Jones joined St. John Missionary Baptist, where he served as an usher and was later ordained as a deacon. He faithfully served and enjoyed cooking for the congregation until his health failed. Willie was preceded in death by his mother, Daisy Griggs; father, John Hill; step-father Charlie Jones; brothers, Ernest and Charlie; sisters, Ethel, Iola, Rose, Dorothy and Mary; and daughters, Annette and Lydia. Willie is survived by his sons, Wallace Jones (Geraldine), Willie J. Jones (Martha), Ernest Jones (Robbin), and Samuel Jones (Shearline); daughters, Connie Jones and Jackie Bolden (Richard); 30 grandchildren, 52 great-grandchildren, and 16 great-great-grandchildren; brothers, James Lanier (Ceola) and Robert Jones (Deborah); a host of niece’s and nephew’s; special friends, William Tyson and Brother Newman and a host of other family and friends. A visitation will be held on Friday, August 31, 2018 from 5:00 p.m. to 7:00 p.m. at St. John Missionary Baptist Church,1920 Mound St. Orange Park, Florida. The funeral service will be held on Saturday, September 1, 2018 at 11:00 a.m. at St. John Missionary Baptist Church, 135 Brickyard Road, Middleburg, Florida 32068.